Chair of JD Russell for House of Delegates 34A. Harford County Coordinator Craig Wolf for Maryland Attorney General. 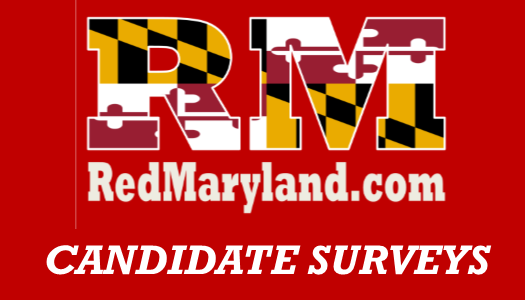 To help support and fundraise for the candidates in Harford county to not only drive turnout for state wide races but to keep Harford Red and help turn Maryland Red. Abraham Lincoln. I know it may be a common answer, but I feel Lincoln is the beating heart of what it means to be a Republican. He dealt with a lot of abuse in the media, peers even his own cabinet yet he pushed to do what’s right. Freedom, accountability, liberty for all. To support all the GOP cabidates in the county through voter registration, driving turn out, fundraising and encouragement. As well as to help identify the next generation of leaders and to help develop them. Finnally in the unfortunate circumstance, to identify the best person to replace someone in office when necessary. Reaching out to minorities. The GOP has real solutions to support minorities yet the media continues to highjack the message yet we need to show that the same old thing is not the solution and that our ideas can truly make a difference. Hogan has made huge strides in changing the misconception of the GOP in Maryland. With that said we need to get a veto proof minority to help with the second issue which is gerrymandering and finnally to really begin to motivate voter turnout. As a foster child who was considered for an abortion I am very Pro-life. So many opporunities are never realized becsuse so many are never given the chance I was. I am also very agaisnt assisted suicide. I dont feel conceding life is a value. Lower taxes and spending. I want to choose my own Destiny and that includes on how my money is spent. I should be trusted on how to spend my money to provide for my family. As someone who arrived two tours in the Marine Corps and a life long Republican and Conservative I fully support the 2nd amendment.